Ready to Visit Your Paradise? Interested in Searching Pricing or Booking Online? Is a Destination Wedding Your Dream? Get the best deals at popular all-inclusive resorts in the Caribbean, Mexico, Bahamas and Central America! You deserve it all and we are here to get you there! Let our travel consultants take care of the guess work and save you time planning your vacation. We invite you to request vacation planning services online or by calling 888.369.8785 to speak with a Vacation Travel Consultant. Let us be sure you’re taking advantage of the latest exclusive promo codes and deals out there. Help us to understand your travel preferences and we’ll save you time by searching for and recommending quality resorts in your preferred destinations. Visit our partner web site if you’d like to search package pricing for all-inclusive vacations online. You can also make your reservations during this session or by visiting FoxWorldTtravel.com when you return and we’ll service your reservation after booking. Lush green scenery and the infamous reggae music will accompany your all-inclusive vacation to Jamaica. There are a number of “hot spot” all-inclusive resort regions to choose from in Jamaica, but Montego Bay and Negril are two of our most popular. From delicious dining for all of your meals to drinks, everything is covered. Leave your wallet in your room and embrace the beauty of a vacation in Jamaica. No matter what type of travel you enjoy — from the adventure around every corner to the kick-back-and-relax — Mexico has just what you are looking for in a vacation package. Exquisite Mexican restaurants? Oh, yeah. Postcard-worthy beaches? You bet. 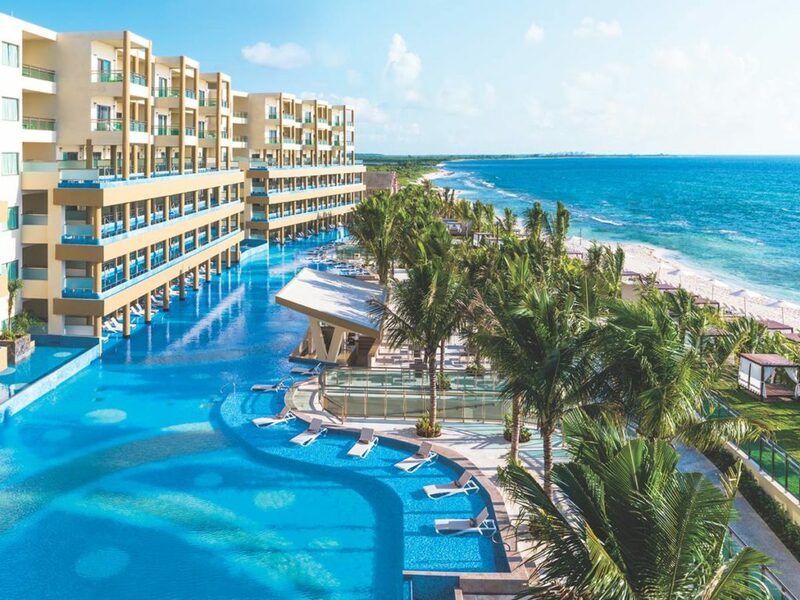 Fantastic all-inclusive resorts? Absolutely. Plus, with excursions from Mayan archeological sites to unbelievable snorkeling there is no shortage of things to do. As the most visited island in the Caribbean, the Dominican Republic sets the standard for sand-and-sun fun. It starts with gorgeous, all-inclusive resorts. Eat and drink to your heart’s content in your favorite pool or beach chair. Then get out and explore the island. Enjoy breathtaking whale watching tours, award-winning golf courses, zip-lining and so much more. While we do not offer online booking directly on our Fox web site, we invite you to explore our microsites with top tour partners for pricing and/or reservations. If you make your reservations directly during this session or by visiting our site first on a future visit when you are ready, a Fox World Travel Vacation Consultant will service your reservation after booking. We also offer package pricing and options with many other companies, including Delta Vacations, Southwest Vacations, United Vacations, Pleasant Holidays and more. Reach out for details!